However, the couple could not be saved and their bodies were recovered later. He said a huge snow avalanche hit Jawahar Tunnel blocking one of the tube from Qazigund side. A police post in the area was washed away, he said further details are awaited. Rescue operation was resumed this morning, officials told UNI. So far no body has been recovered. Weather has improved this morning and rescue operation has been intensified. 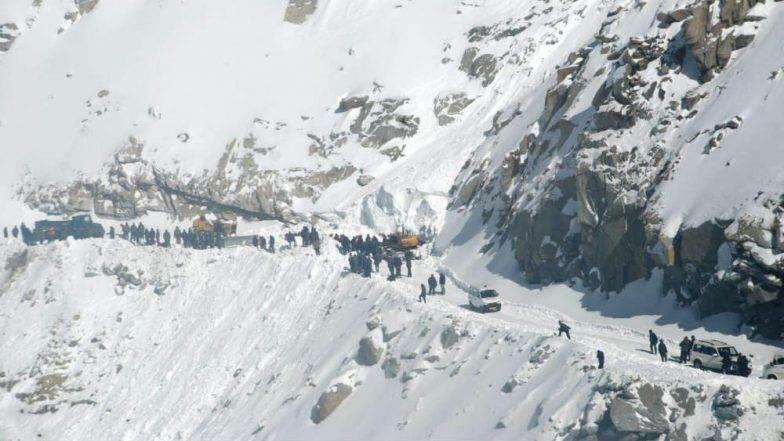 However, official sources said ten persons, including eight police personnel were buried under the snow avalanche. Rescue teams were immediately rushed to the area to rescue buried personnel. Meanwhile, over 60 tribal families, including women and children, were evacuated from avalanche prone Waltang Naad area in Kulgam district of south Kashmir. On February 22, 2015 about 175 people were killed in snow avalanche Kund and Waltango Naad. Officials said that authorities have set up camps for the tribal families where they were being provided food and shelter. Over two dozen houses and other structures were damaged due to heavy snowfall.